SAN JOSE, Calif., June 28, 2018 — WekaIO, an innovation leader in high-performance, scalable file storage for data intensive applications, today announced that Kx, creator of the world’s fastest time series database, has qualified WekaIO Matrix storage solution for use with kdb+ in the Amazon Web Services (AWS) Elastic Compute Cloud (EC2) for machine learning applications. This qualification of Matrix comes after Kx conducted its own rigorous benchmark testing of storage solutions available in AWS EC2 as part of a process for determining their suitability for Kx customers looking to migrate their historical kdb+ database (HDB) to the cloud. The cloud is the cornerstone of digital transformation and thus the number of companies migrating workloads to the cloud continues to grow rapidly. Databases have however been disadvantaged in this race to the cloud by a lack of storage solutions that can effectively deliver low latency data access similar to what customers have come to expect from their on-premises architectures. WekaIO Matrix is a fully distributed and parallel file system with an optimized network stack that solves these latency issues and delivers the highest performance shared storage solution available in the AWS Cloud. The powerful combination of elastic compute resources, Matrix, and kdb+ software results in a comprehensive solution that can handle the most demanding data and metadata intensive operations common in financial trading and market data analysis. For more information on Kx’s benchmark testing of WekaIO Matrix and other storage systems, read the Kx blog post. WekaIO leapfrogs legacy storage infrastructures and future-proofs datacenters by delivering the world’s fastest parallel file system with the most flexible deployment options—on-premises, cloud, or cloud bursting. 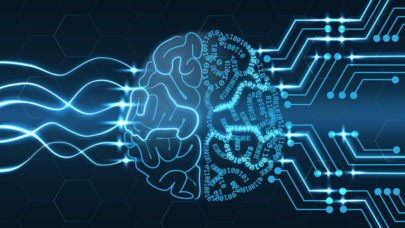 WekaIO Matrix software is ideally suited for latency-sensitive business applications at scale such as AI, machine learning, life sciences research, genomics, Big Data analytics, and any data-intensive technical workload.